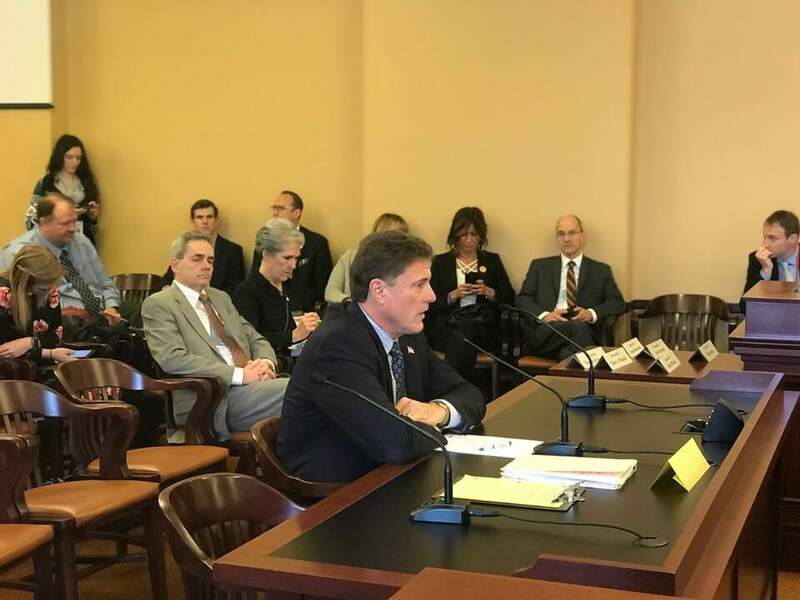 Rep. Dunnigan standing in support of Rep. Spendlove’s bill HB472: Medicaid Expansion Revisions. During the recess between floor time, a few legislators went on a tour of the Emergency Operations Center beneath the State Capitol. 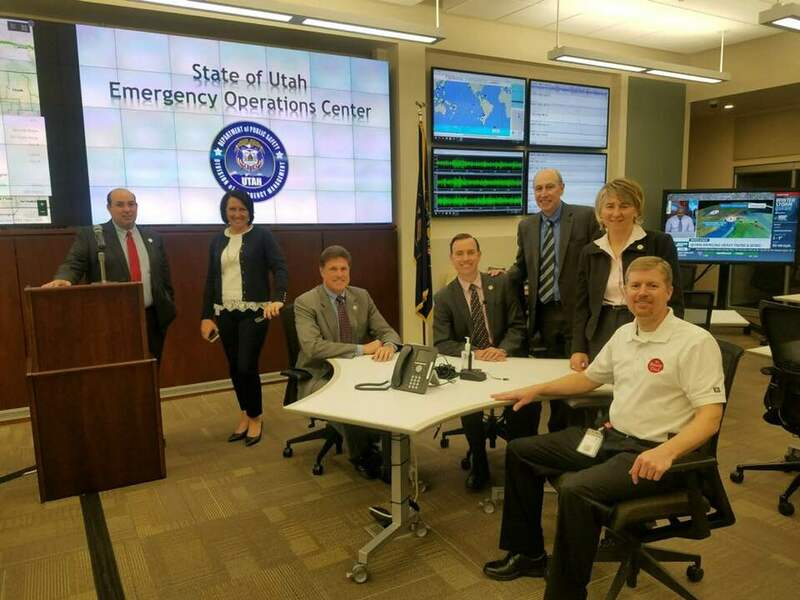 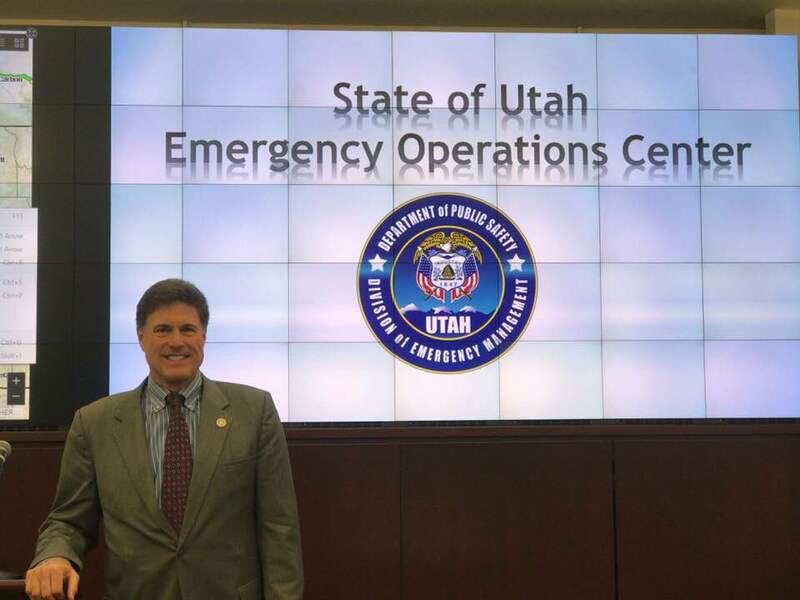 In the center, they inspected the state-of-the-art technology used to prepare Utah in the case of a disaster. Stay safe, Utah! 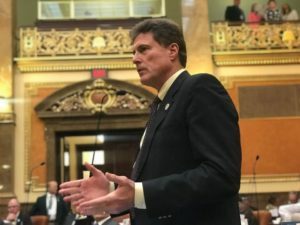 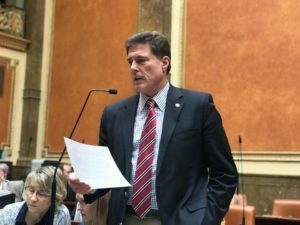 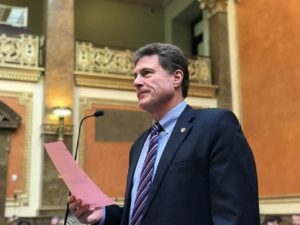 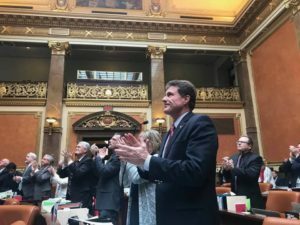 It was the second to last day of the 2018 Legislative Session! 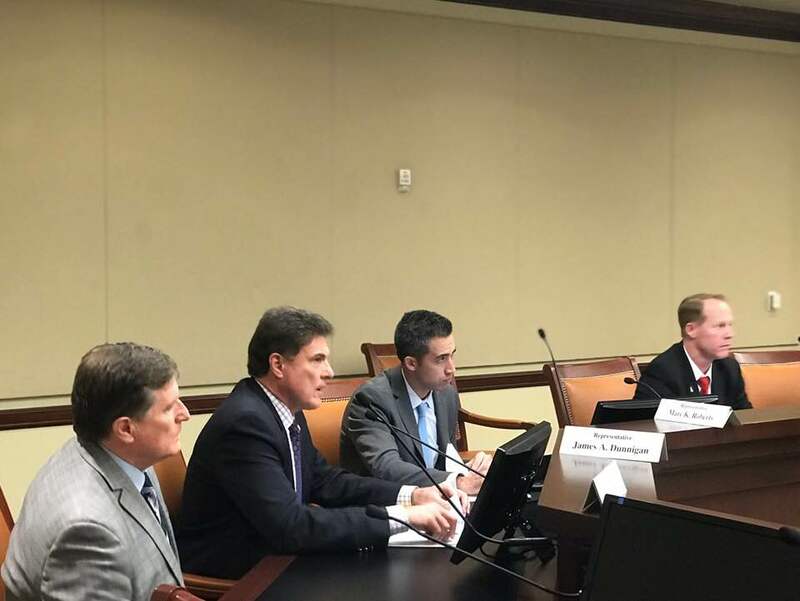 Rep. Dunnigan in his last Political Subdivisions Standing Committee meeting. 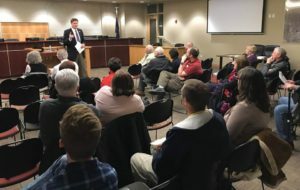 Topics on the agenda were: election law changes and ballot initiatives. 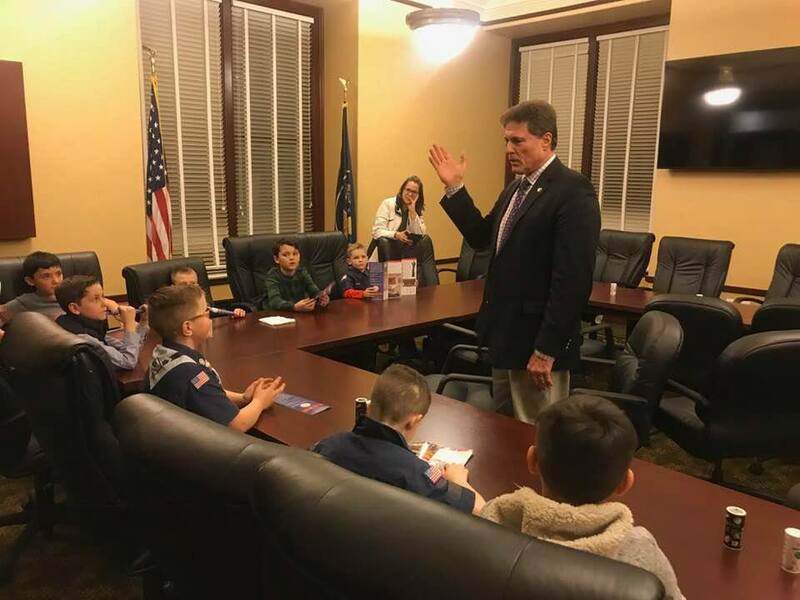 Rep. Dunnigan had a group of cub scouts from Taylorsville come visit the Capitol tonight. 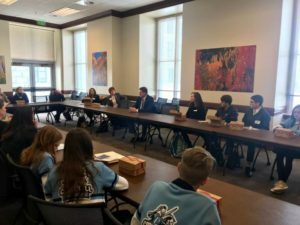 We did a mock debate for them, and they unanimously voted to have ice cream for lunch everyday at school! 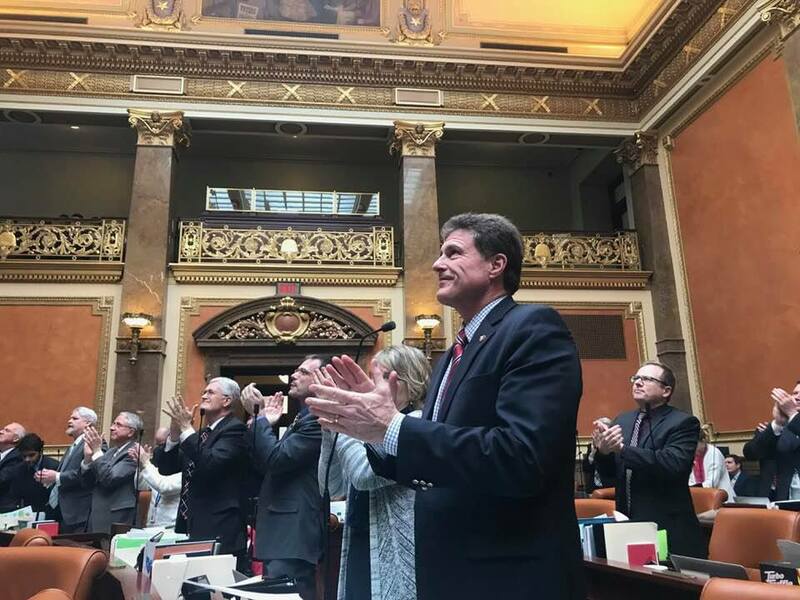 It’s the last day of the 2018 Legislative Session! Today, during morning Floor Time, Rep. Dunnigan presented 2SB 237: Vision Services Amendments. 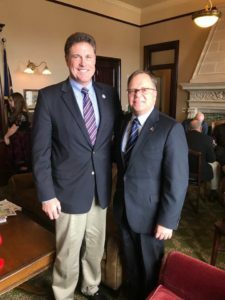 On the House Floor, Rep. Dunnigan presented his bill HB 407: Support Animals Amendments. Today, Rep. Dunnigan spoke at a conference for NAIFA and discussed several insurance bills coming up this session. On the House Floor, Rep. Dunnigan presented SCR7, a concurrent resolution honoring firefighters and fire prevention efforts. 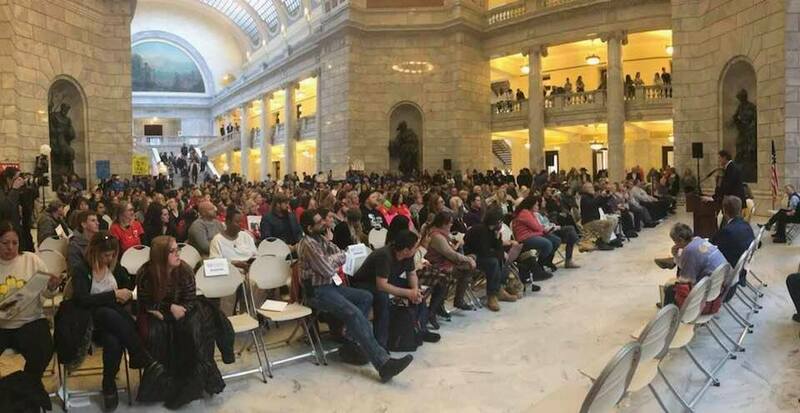 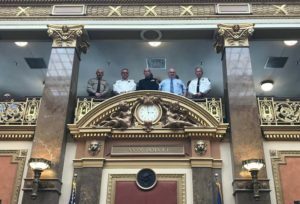 Several members of the collective Fire Service in Utah were recognized for their selfless work. 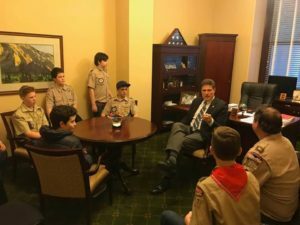 Today, Rep. Dunnigan gave a tour of the Capitol to cub scouts from South Jordan. 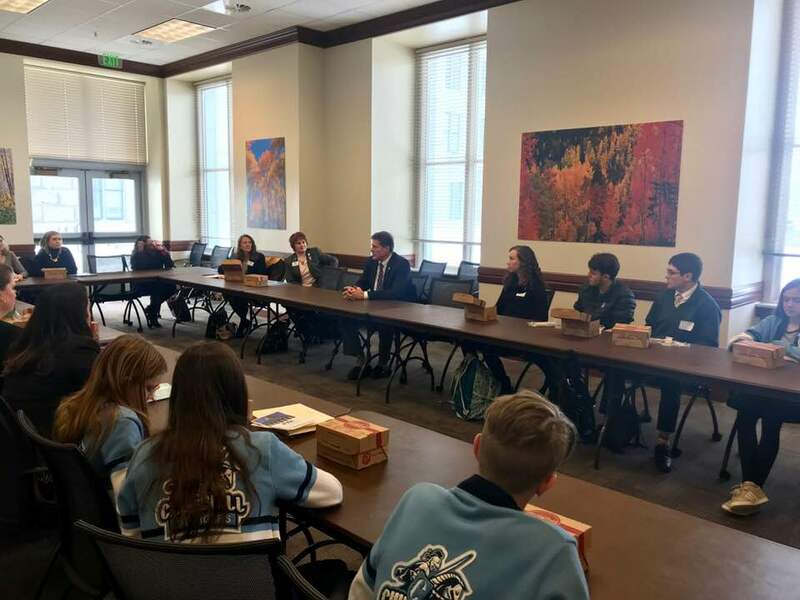 He also met with 8th graders from The McGillis School, an independent, non-profit education organization. 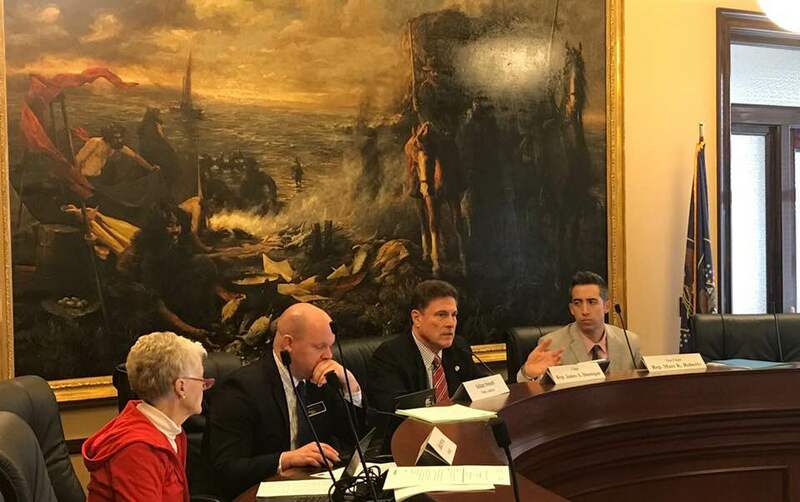 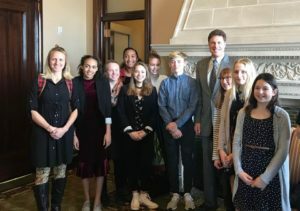 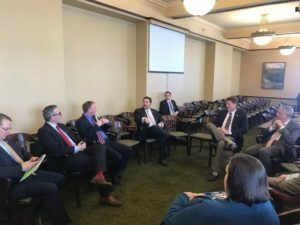 We toured the Utah House of Representatives, attended a committee meeting, and discussed pressing issues in Utah such as the opioid crisis. 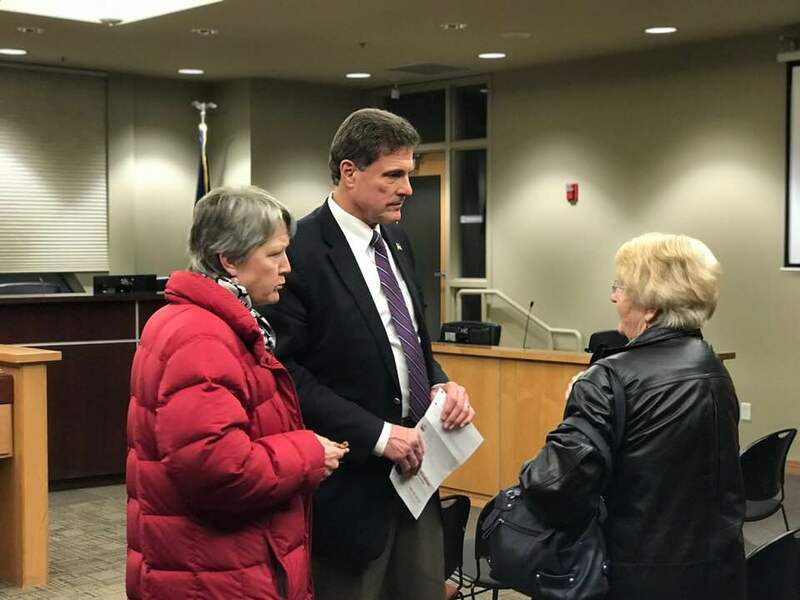 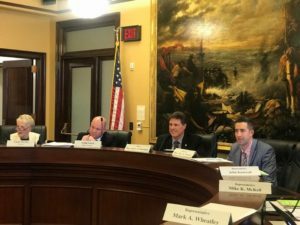 Rep. Dunnigan chaired an exciting Business and Labor Committee meeting on Thursday night. 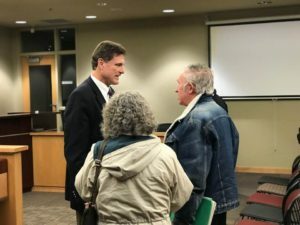 Some of the topics on the agenda were: minimum wage, Medicaid expansion, and wastewater reuse amendments. 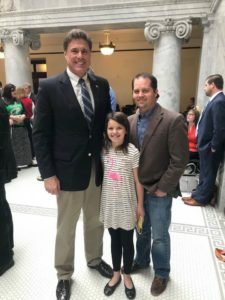 Today, Rep. Dunnigan was visited by extended family members, Scott and Bella on the House Floor. On February 12, Rep. Dunnigan and Rep. Kwan met with 3rd grade students from Calvin Smith Elementary School. One of the teachers, Mr. Marcum, had his group of Chinese Lion dancers perform in the Rotunda for all of the legislators. 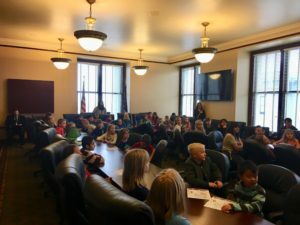 Click on the attachment to view the student’s thank you letters to Rep. Dunnigan and Rep. Kwan. 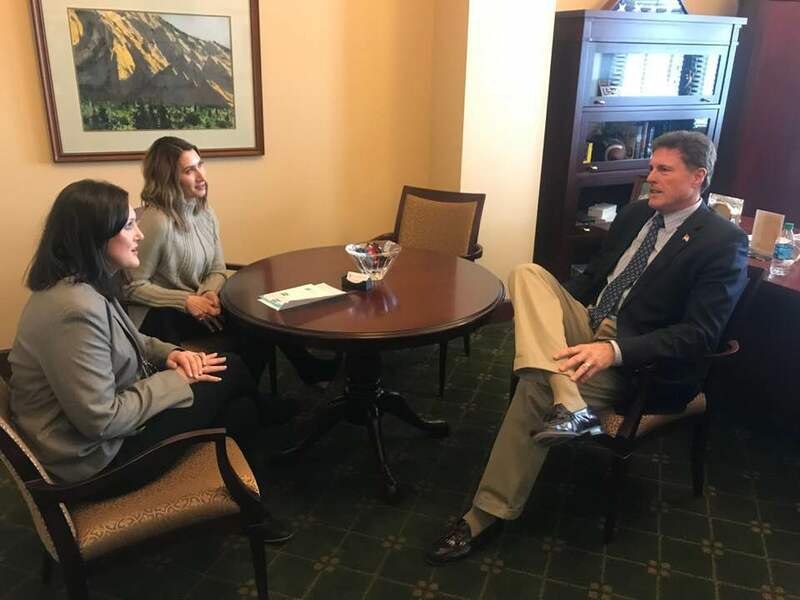 Started off the week meeting with employees from various tech companies, including eBay, Amazon, and Dell, and discussed the growing tech industry here in Utah. 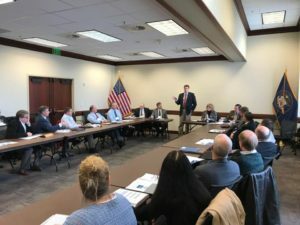 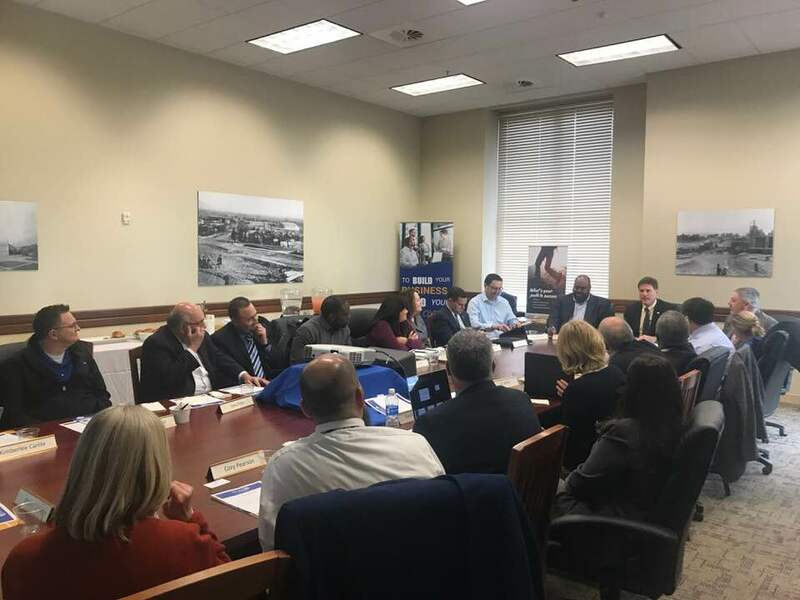 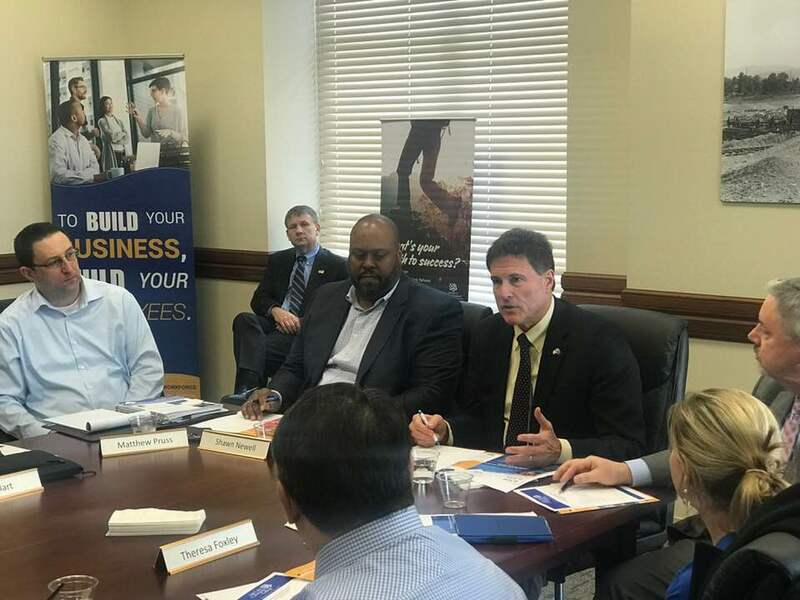 Today, Rep. Dunnigan attended a luncheon for the Workforce and Economic Development Advisory Board and discussed job opportunities available for the formerly incarcerated. An exciting Business and Labor Committee meeting took place this morning, where we heard four bills about alcohol regulation. 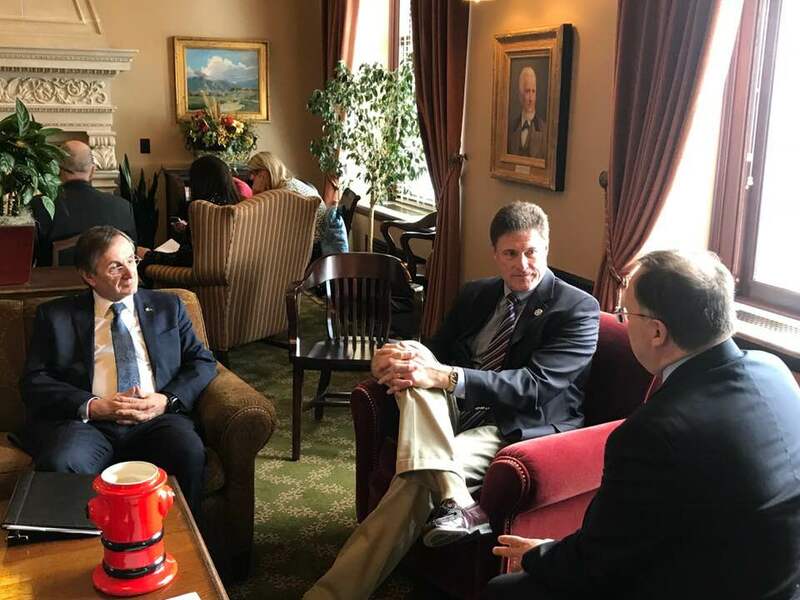 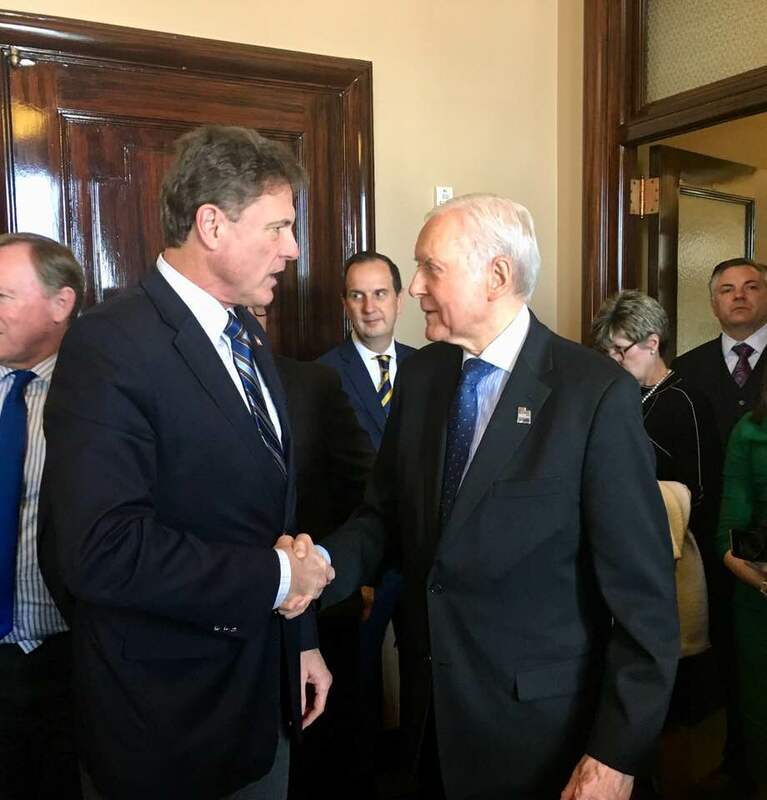 Today, Rep. Dunnigan met with the Consulate General of Canada, Stéphane Lessard, and discussed strengthening Utah’s relationship with our northern neighbor. 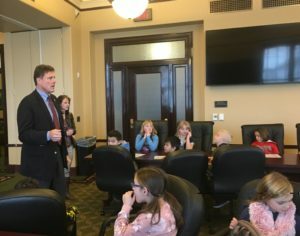 It was also Tech Day on the Hill today! 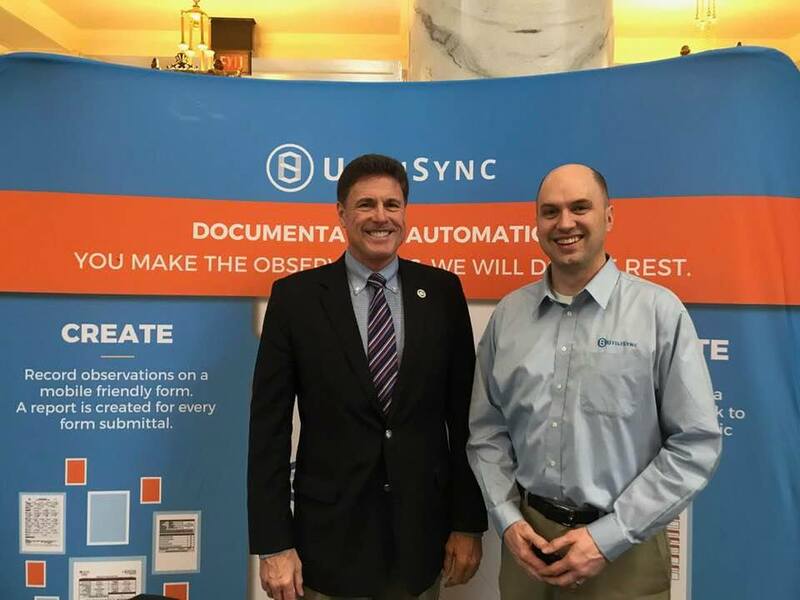 Rep. Dunnigan stopped by his nephew’s booth for his tech business, UtiliSync. 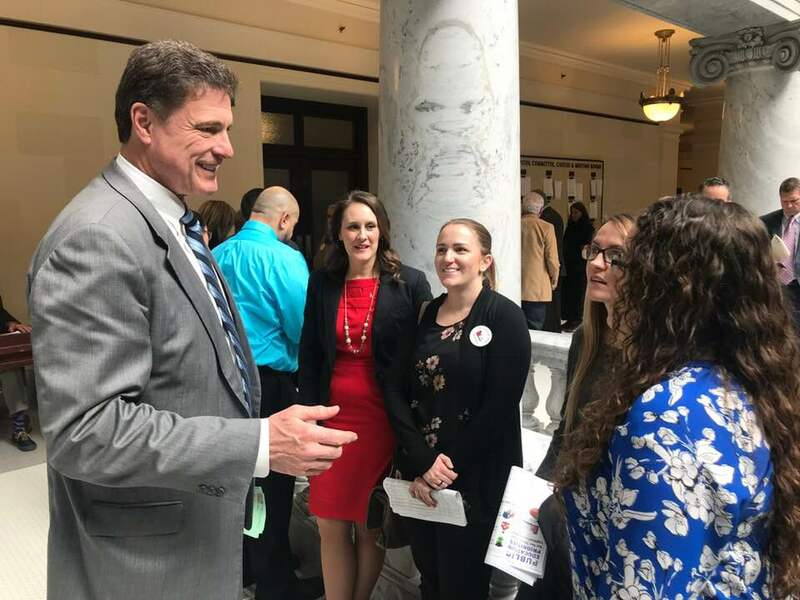 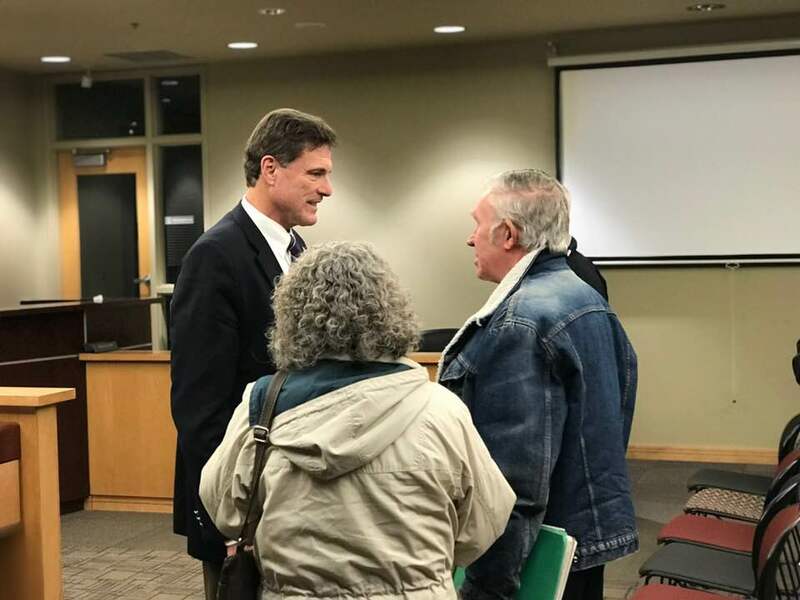 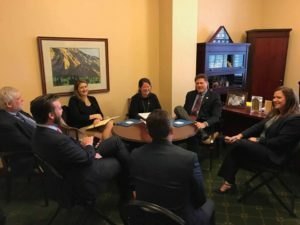 Today, Rep. Dunnigan spoke with teachers from David Gourley and West Kearns Elementary School and shared ideas about improvements and goals in the education system for this year.